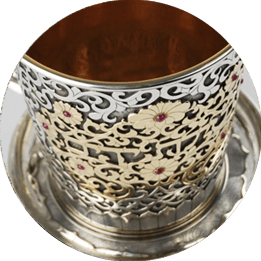 Judaica Masterpieces is the core of Motty Mendelowitz’ vision: The locus where artists and aficionados meet. 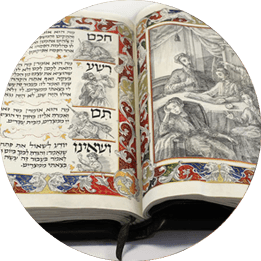 Furthermore, Judaica Masterpieces is a powerful statement that Jewish Art, in all its expressions, can be fresh, relevant, energetic – and evocative. Our mission: to introduce Judaic art that is modern. Art worthy of any gallery in the world, and more: worthy of the Jewish home. Art brings beauty into the human experience, and adds a measure (or many measures!) of wellbeing to the beholder. 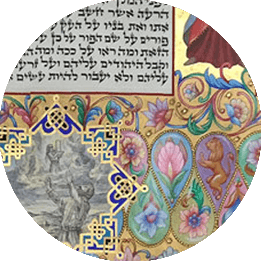 In Judaica Masterpieces’ collection you find Israel’s greatest talents: Oeuvre from renowned artists, one-of-a-kind antique objects, artwork from emerging artists, illuminated manuscripts, delicately painted enamel pieces, and religious objects in silver ornamented with precious gems. Traditional artwork – and novel pieces from artists with broad strokes and bold ideas! Motty is perfectly located: In Jerusalem – and at the nexus between artist and client. Discovering, nurturing, and promoting his own "stable of artists", Motty’s connoisseurship allows him to identify the distinctive edge of each artist’s work. Motty has gathered a guild of the greatest talent found in Israel. 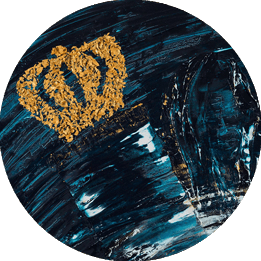 The firm employs numerous artists, each located and cultivated exclusively by Motty: A silversmith who formed crowns in Italy; an expert in enamels from Russia; religious women born-and-bred in Jerusalem’s alleys who are brushing their experiences onto canvas . Motty’s role extends beyond designer, beyond curator. Motty attracts artists who create pieces one-by-one, by hand, using demanding techniques largely unknown in today’s world of mass-production. He shares a vision with an artist of what a piece should be, and spends hours with the craftsman, constantly refining until perfection emerges. Motty's personal relationship with each of his exclusive artists is his bounty. This is the source that enables him to unveil the subjective elements beyond the aesthetic value that make the art work in front of you a veritable masterpiece. Who is the artist and what is his place in the art universe ? What is significant about this particular image ? How important is its provenance? These are some of the insights every client desires when meeting with Motty – and the reason they seek him out. His finger is on the pulse of the high-end art market, and often directs that market to new tastes. Motty’s skill is in the fusion of an artist’s vision with a client’s dream. Motty is the consummate matchmaker, introducing collector to object of art - with Jerusalem as the perfect backdrop. Whether the client is a first time buyer, a seasoned art collector, owns a gallery, a world class hotel, or is a financial giant with home base in a NY skyscraper, Motty’s deep seated knowledge of Jewish art and Jewish art trends makes him the quintessential connoisseur – and the driving force behind of JudaicaMasterpieces. As the prospective owner of artwork, you need to know the story behind it. I love telling the story behind every art piece: Who is the artist, when was it was created, what it means to the artist, and a myriad of other important facts that give you the confidence to buy – and to dazzle everyone who beholds your purchase!